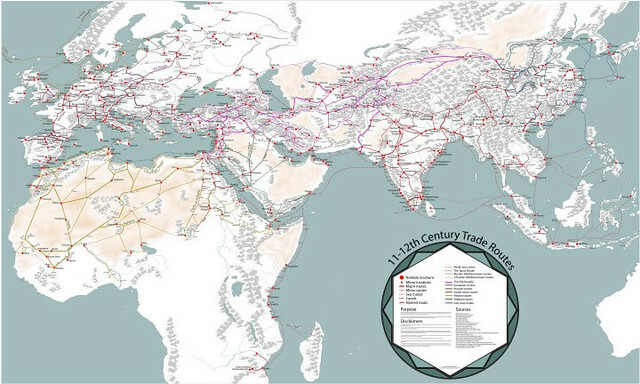 The map above is probably the most detailed map of Medieval Trade Routes in Europe, Asia and Africa in the 11th and 12th centuries you can find online. It includes major and minor locations, major and minor routes, sea routes, canals and roads. As we contemplate commerce, we might spare a thought for Francois-Marie Arouet, better known as Voltaire; he died on this date in 1778. 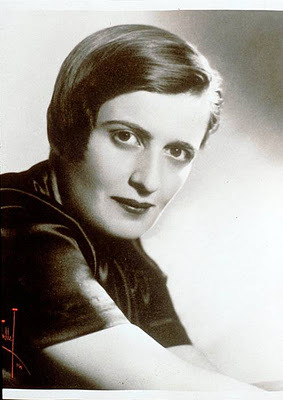 The Father of the Age of Reason, he produced works in almost every literary form: plays, poems, novels, essays, and historical and scientific works– more than 2,000 books and pamphlets (and more than 20,000 letters). A social reformer, Voltaire used satire to criticize the intolerance, religious dogma, and oligopolistic privilege of his day, perhaps nowhere more sardonically than in Candide. Discover a new book every time you open a new tab: add 100 Million Books to your browser. As we turn the page, we might recall that it was on this date in 1717 that Voltaire (François Marie Arouet), the “Father of the Age of Reason.” was imprisoned for the first time in the Bastille for writing “subversive literature.” He would subsequently be imprisoned again, and forced in exile. Freedocumentaries.org streams full-length documentary films free of charge, with no registration needed. For several films, we even offer the ability to watch trailers or to download the actual film. The films are gathered by our researchers as we scour the web for well-produced videos and present them to our viewers. We adhere to all copyright laws and honor the wishes of the producers. We created Freedocumentaries.org because we wanted to find an easy way to bring thought-provoking, educational, and entertaining documentaries to anyone with a high-speed internet connection. We believe that the mainstream media increasingly practices self-censorship, and that it ignores many opinions and historical events. With the media distorting or ignoring information, it’s often very hard to get an accurate picture of a problem, even while watching the news. Sites like Freedocumentaries.org are a much-needed counterbalance to corporate media: an industry dominated by special interests. Even though every dollar we make via advertising or donations is critical, we do not let any advertisers have any influence over which films we play. We would rather lose that money than lose our independence. And the fact that we won’t shy away from controversial films is one of the things that makes us unique. While some of the films on our site have widespread distribution, others are created by independent filmmakers who depend on sites like ours to get their information to the public. The amount of work that these producers have put into making a 90-minute film is astounding. Different films create different reactions among different people. There will be aspects of the films in which you may disagree or agree. After watching you may cry, become inspired, or you may get angry; in any case the films will get you thinking. We are proud that in the last two years, we have helped share these films with countless people that would not have seen the movies otherwise. We believe that we have made the world just a little better by doing so. We are proud to help these independent filmmakers. We encourage you to visit their website and donate so that they can continue creating great films. If you haven’t done so yet, please watch a film. And if you enjoy the experience, tell your friends! Over 450 choices, across an extraordinary range of topics, at Freedocumentaries.org. As we lean in to learn, we might send philosophical birthday greetings to Francois-Marie Arouet, better known as Voltaire; he was born in Paris on this date in 1694. The Father of the Age of Reason, he produced works in almost every literary form: plays, poems, novels, essays, and historical and scientific works– more than 2,000 books and pamphlets (and more than 20,000 letters). A social reformer, Voltaire used satire to criticize the intolerance, religious dogma, and oligopolistic privilege of his day, perhaps nowhere more sardonically than in Candide. German artist Ralf Baecker gives technology a life of its own. 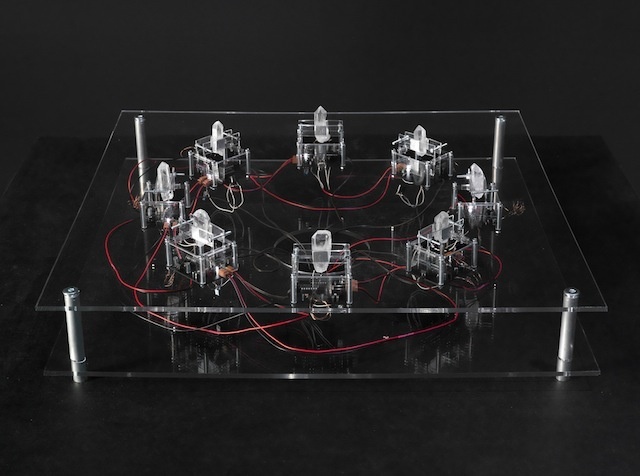 His new piece Irrational Computing, which debuts June 10 at the International Triennial of New Media Art, use semiconductor crystals (quartz sand) and connects them to interlinked modules to create a primitive macroscopic signal processor. In other words, he’s using quartz (a natural resource that’s one of the basic commodities for all information technology), to create a raw mineral computer. 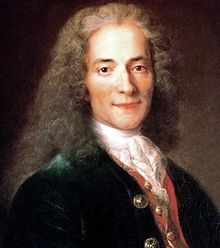 As we muse on minerals, we might spare a thought for a key intellectual ancestor of Hacking and “Making”: the Father of the Age of Reason and author (in Candide) of the immortal– and sardonically ironic– advice that each of us should “tend his own garden,” Francois-Marie Arouet, better known as Voltaire; he died on this date in 1778. 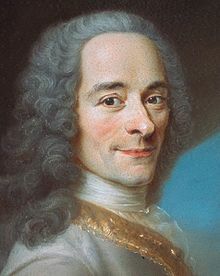 As we tap our toes, we might recall that today is the birthday of the intellectual Father of Rock and Roll– the Father of the Age of Reason and author (in Candide) of the immortal– and sardonic– advice that each of us should “tend his own garden,” Francois-Marie Arouet, better known as Voltaire; he was born in Paris on this date in 1694.